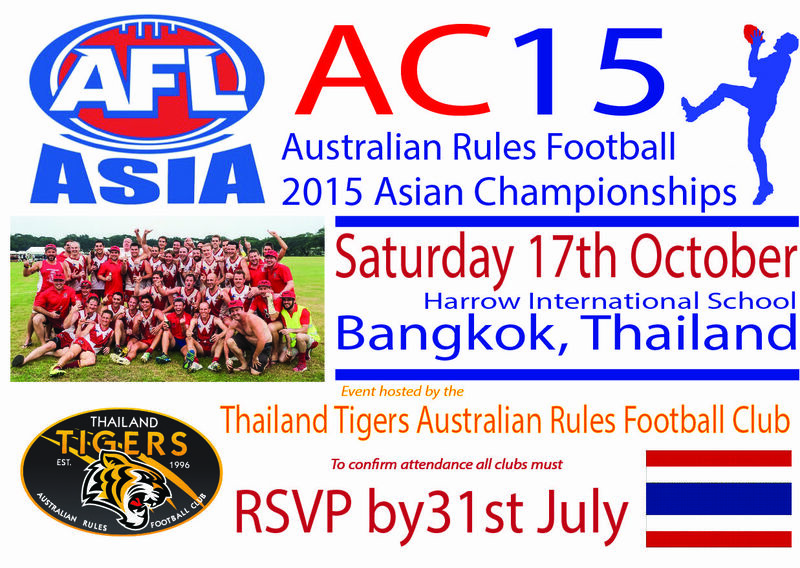 President of the hosting Thailand Tigers, Brendan Cunningham, has extended the invitation to all ASIAN Footy clubs wishing to participate in the AFL Asian Championships 2015. 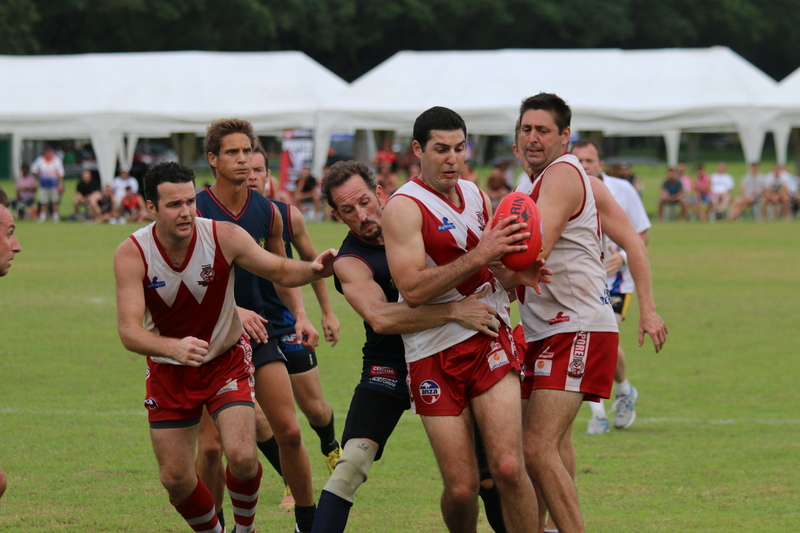 “The good news is that we’ve secured a facility that can hold two fields and is a decent playing surface; plus the best news is that it’s located in Bangkok.” Cunningham writes. We are hoping to increase to over a dozen international representive teams with over 400 players expected to fly in to participate. Planning is underway for a IC17 style, fully indigenous North Asia v South Asia exhibition game (or similar) to accompany the normal tournament style games! More plans being discussed, details soon! Teams are requested to give their expressions of interest to Brendan by July 31st.